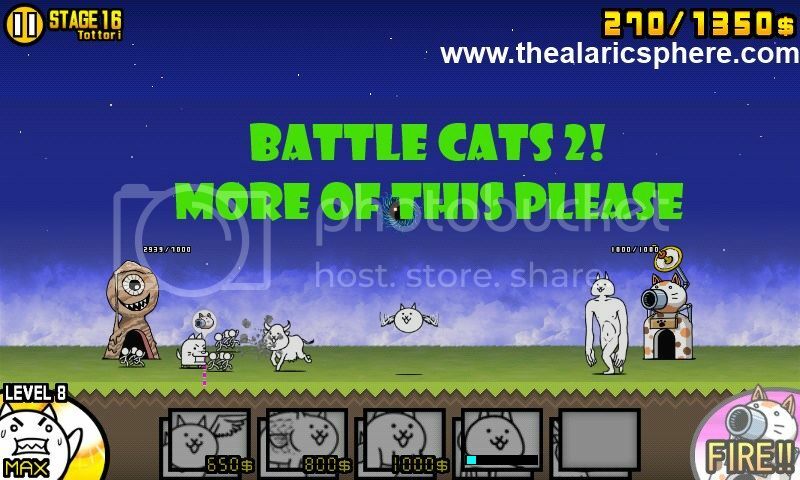 Battle Cats is an awesome game. I have played the heck out of that game and I want more. PONOS has made a great game that 5 million other people have played and it is only logical that they make another one. But I don’t just want another one, I want a better one. A sequel that will surpass the first. So I made a list of things that I want. First part of my list has things that I don’t want to change. These worked very well in the first game so they should be iterating on it. Don’t change the way the game feels and plays. It’s simple to pick up and play, fun and satisfying. You can just spam units to win most of the time but you can also play using strategy to get a better chance of winning medals. The part I also like is that you really need a mix of different units in order to win. Other games will let you win by just spamming 1 type of unit without thinking. The rewards that you get from earning medals are also satisfying in that it makes you want to go back and play since you feel stronger with faster money earning or stronger cats. The upgrade system also feels fair, XP is used to upgrade your cats and the stronger units need more XP to upgrade. You can also see and feel that the cats are getting stronger with each upgrade. For the sequel, please keep the game feel the same. Do not add to much features or flashy stuff that will disrupt it. Simple, cartoony and hand drawn. These are what made these cats so fun to look at. There was also something endearing to how the attack animations were only a few frames. Keep it like this. I would think this is why my phone’s battery was able to run this game for a long time. For the sequel, don’t try to make it 30 fps. Don’t put too complex assets that will not allow older phones to run it or will cause battery to quickly drain. Games like this don’t really need a backstory. Your cats want to kill stuff so they go ahead and bully the heck out of other creatures. But in this game, each enemy has a backstory and it actually makes me care whenever there is a new enemy or cat that shows up. I need to know why they fight. For the sequel, I would like to see some character stories carrying over and how they have developed since the first game. 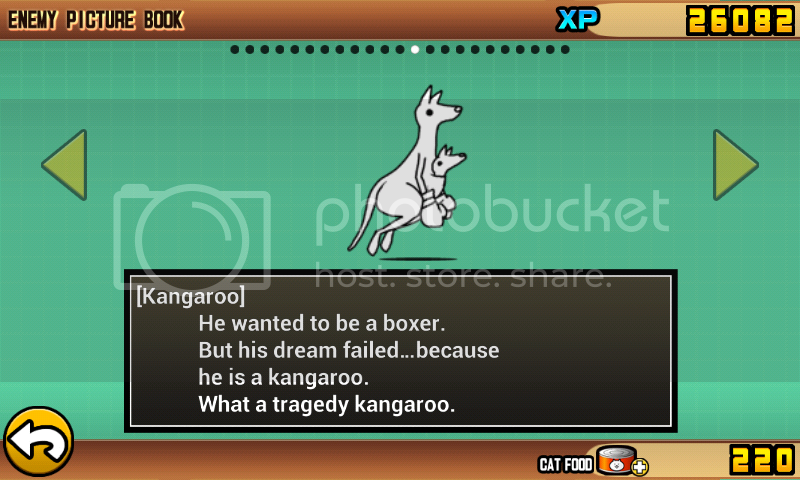 No matter what happens, my favorite will still be the kangaroo. Second part of my list would be the new stuff that I want to see from the sequel. This frustrated the heck out of me in the first game. Why did I earn the medal? Why was it silver? How can I get the gold? What did I do wrong? Hopefully PONOS comes up with a system that gives you some feedback instead of these medals generating randomly. Whether it’s number of seconds to complete a level or number of units lost or amount of damage taken. Something. Anything. Integrate their game with Facebook and do online leaderboards. There’s nothing more social than competing with your friends online then posting and showing off your high scores after. Skirmish or Co-op. 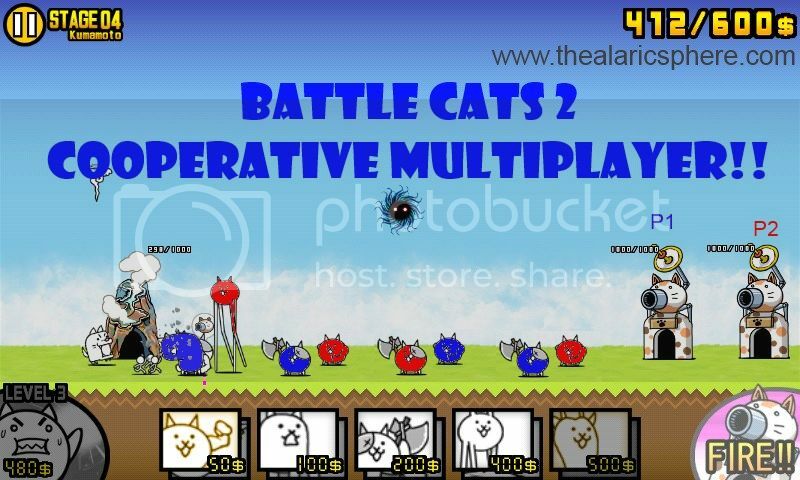 Imagine a 2 player co-op mode where it’s 2 cat bases going up against either a strong enemy or 2 enemy bases. Or maybe even 2 players going up against each other. Even if it’s just local or ad-hoc multiplayer, it would be super fun. Anything can be made more awesome with dinosaurs. They never really touched on this in the last game. The creatures they chose were more elephants and giraffes. Make a T-rex enemy or a brontosaurus cat. Velociraptor. Those spitting ones. It gets me all excited just thinking about it. Allowing folks to save and export save games to Youtube to share how they got the gold medal would be great. I don’t know. More crazy stuff I guess from the minds of the makers. Surprise us. I really haven’t heard of anything about a sequel in development but I honestly do hope that this is in the works.